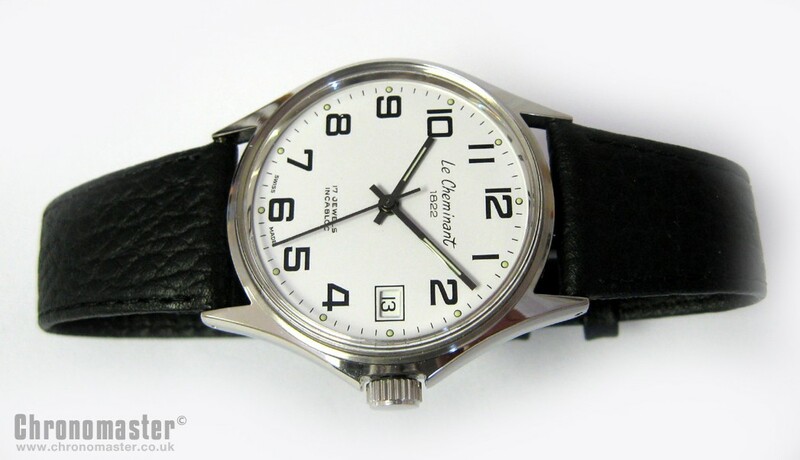 Brand new and never worn or used Le Cheminant hand winding wristwatch. 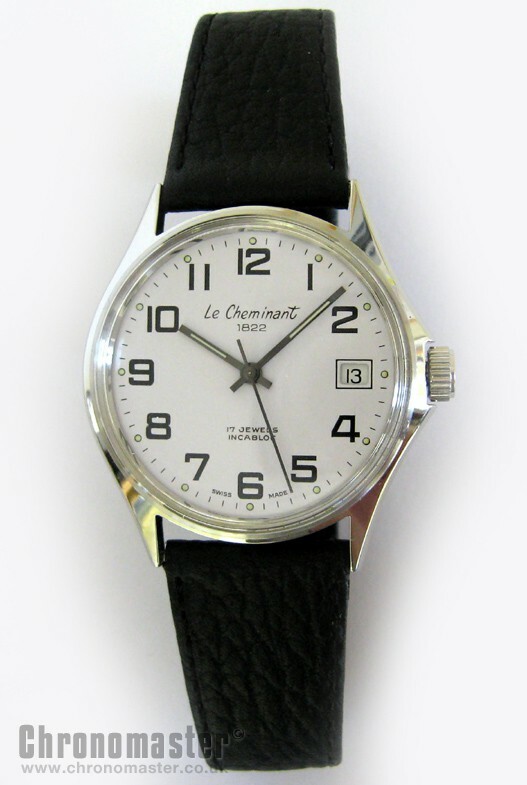 Le Cheminant is a manufacturer of good quality wristwatches and they have been in continuous production since 1822. 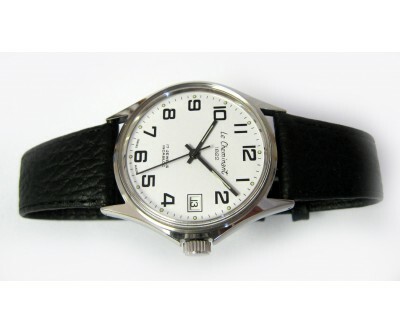 The modern business was formed in the late 1950s by Gordon and Iris Betts, when they purchased the shops and the name from the Le Cheminant chain of jewellery shops. They had two branches in Ipswich as well as an office and workshop in Ipswich. In London there was the main branch of Le Cheminant in Wigmore Street, the sole distributor in the UK, with another branch in the Marylebone High Street. There were several other branches around the country. 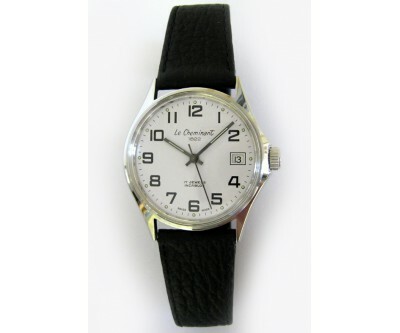 They were well known in during this period in the UK due to their high street presence. Sales have declined since the quartz invasion, but they are still in business albeit on a smaller scale. 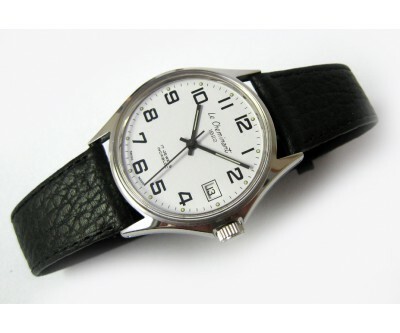 This one is a hand wind winding gents wristwatch. 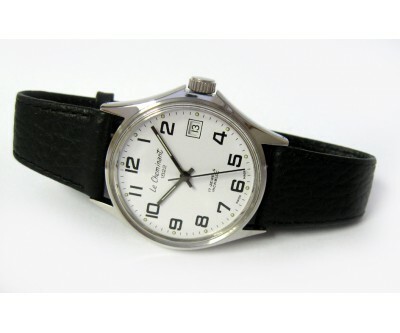 The case is polished steel in classic case style with long pointed lugs and slow gradient crown protecting shoulders. The case back is screw on and it has a non screw crown. The crystal is acrylic and it has a quick set date at the 3 position. 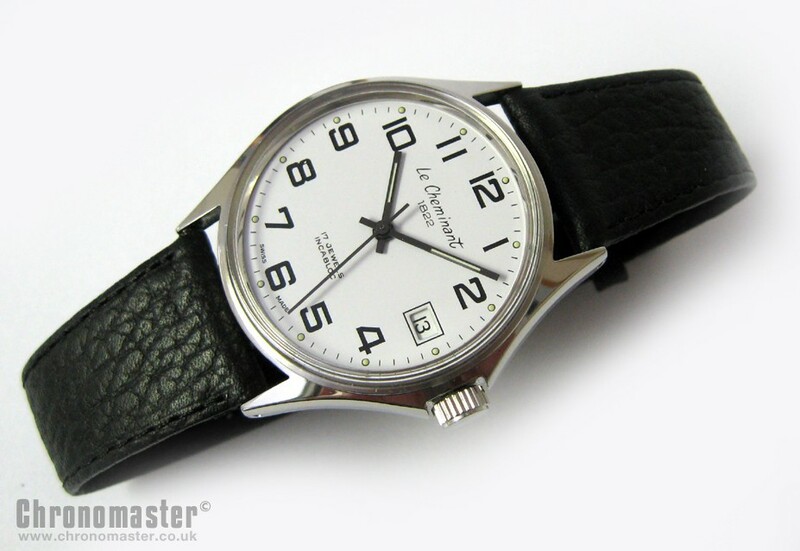 The dial is a practical and legible design in white with large black numerals and black luminous filled hands. 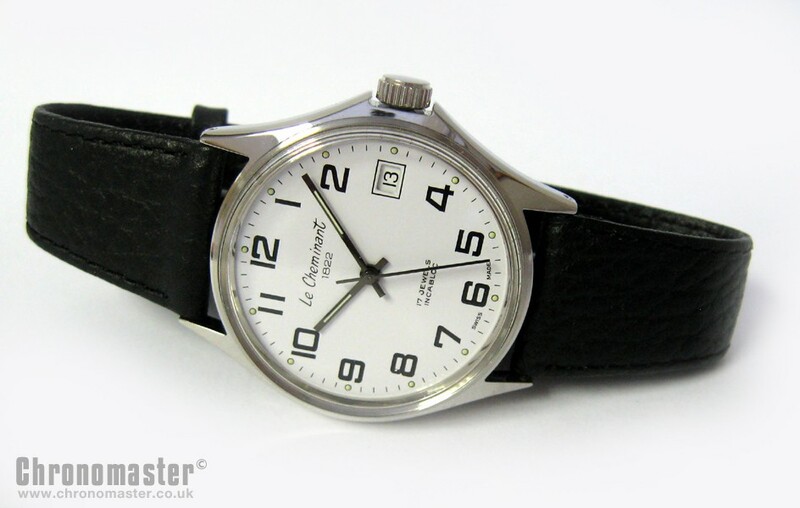 The movement is a 17 jewel Swiss made ETA 2801 hand winding movement. It comes in the original box.